The sign in front of an incredible place to stay! Hello everyone, and welcome to this week’s edition of Tiggerific Tuesday Trivia, the weekly trivia series that my friends Jodi from Magical Mouse Schoolhouse, Jenn from Disney Babies Blog and Heidi from Heidi’s Head co-host with me! Today I am back from Disneyland, so I thought I would kick off the week with some trivia — Disneyland and Grand Californian Style! 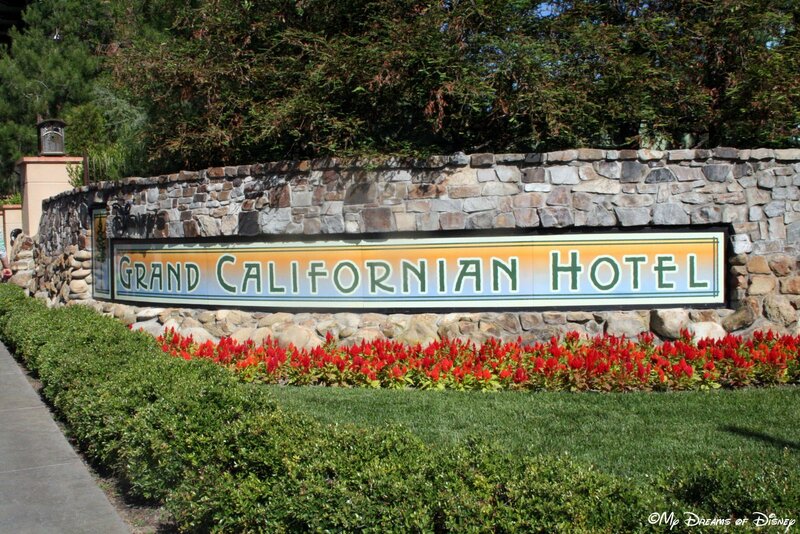 Did you know…that the Grand Californian Hotel has 1,019 rooms? The place is huge! Six stories tall, with views of the lobby from every floor! It is an incredible structure, and one that Cindy, Sophie and I thoroughly enjoyed! In addition, the name is based on it’s sister hotel, the Grand Floridian Resort and Spa, located at Walt Disney World. While the two hotels are different in theming, they are both richly appointed and are the top two hotels Disney has, in my opinion. Thank you for stopping by tonight as we share our little tidbits of trivia for you! Now, please stop by and visit the rest of the sites and learn what they have for us today! Remember to make it a Disney Day! Tiggerific Tuesday Trivia – Tiger! Tiggerific Tuesday Trivia – The TTA! That’s a lot of rooms! The pictures I’ve seen of the hotel look gorgeous! Previous Post: Back from Disneyland!